Let's Get This Startup Week Party Going! Hey, hey boss babes! Part of a new year is taking a look at what you did well in 2018 and what could’ve been better. There’s always room for improvement, but how about we make it fun?! Get ready to be inspired and learn about some Business Foundations, like taxes, trademarks, digital branding, and scalability. 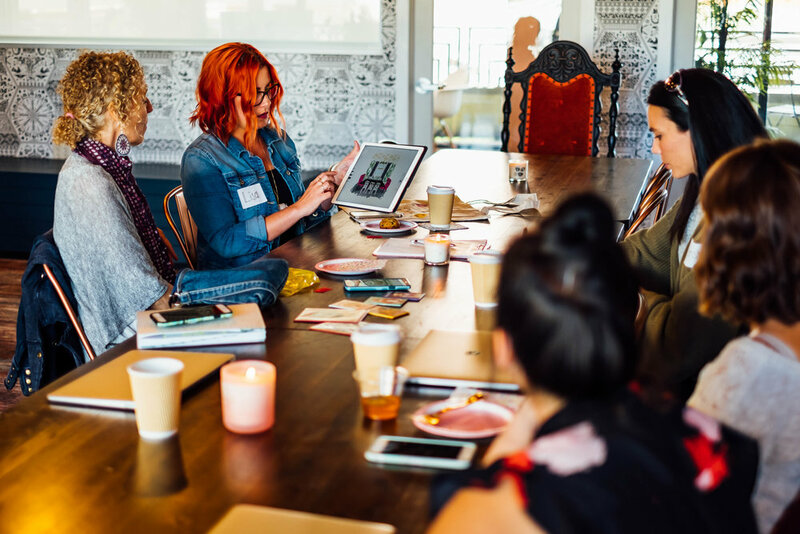 Our Founder, Gina Moccio is the Track Captain for the Business Foundations Track at Tampa Bay Startup Week 2019 and we'll be hosting 3 Babe Crafted-inspired events full of members whose stories & insight you’ll love. Each of these events is free & open to any and all and you can check out the full week’s schedule including all Business Foundations event here. Also, if you sign up for our email list at any one of these events below, you'll be entered to win an amazing bundle of local goodies! RSVP to 1 or more of these events on Facebook. Get ready for an interactive workshop on two of the most important topics for your business: taxes and trademarks. Protect yourself and your business by learning about the basics and some pro tips from our experts, Salma Benkabbou of The Benkabbou Law Firm, PLLC and Michelle James of Tax Pro of Tampa. Learn about how you can improve your tax strategy for your business and how to maintain and defend your intellectual property. RSVP here. Whether you’ve been in business for years or you’ve just launched, it’s never too early or late to think about scaling your business. Our experts will share how they set themselves & their business up for success by building a strong foundation. Learn what questions you should be asking yourself and what moves you should make before you take your business to the next level. RSVP here. Hear from business owners and social media experts about how to make the most of social media and avoid the pitfalls many business owners face when building a digital brand. Which apps get the best engagement? How often should you post? What should you avoid when telling your brand’s story? We’ll cover this and more as we share how to navigate creating a strong digital brand. RSVP here. Meet Danielle Ferrari of Valhalla Resale!